Every second man and woman in the industrialized world dies from the consequences of atherosclerotic deposits in the coronary arteries (leading to heart attack) or in the arteries supplying blood to the brain (leading to stroke). The epidemic spread of these cardiovascular diseases is largely due to the fact that, until now, the true nature of atherosclerosis and coronary heart disease has been insufficiently understood. Conventional medicine is largely confined to treating the symptoms of this disease. Calcium antagonists, beta-blockers, nitrates and other drugs are prescribed to alleviate angina pain. Surgical procedures (angioplasty and bypass surgery) are applied to improve blood flow mechanically. Rarely does conventional medicine target the underlying problem: the instability of the vascular wall, which triggers the development of atherosclerotic deposits. Cellular Medicine provides a breakthrough in our understanding of the underlying causes of these conditions and leads to the effective prevention and treatment of coronary heart disease. 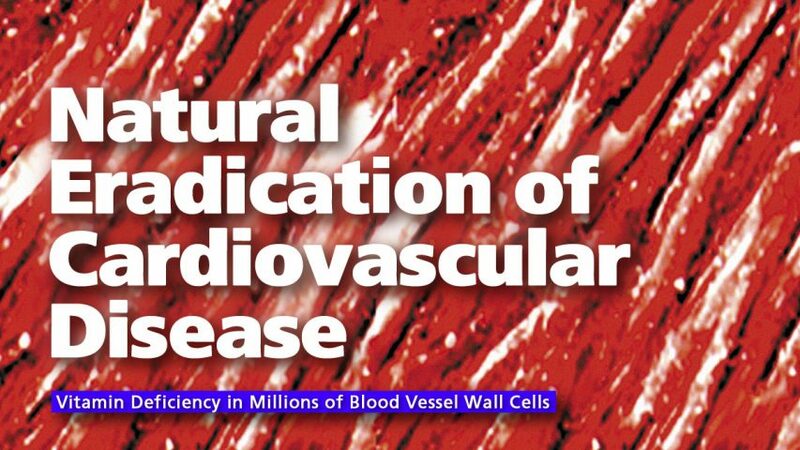 The primary cause of coronary heart disease and other forms of atherosclerotic disease is a chronic deficiency of vitamins and other essential nutrients in millions of vascular wall cells. This leads to the instability of the vascular walls, lesions and cracks, atherosclerotic deposits and, eventually, heart attacks or strokes. Since the primary cause of cardiovascular disease is a deficiency of essential nutrients in the vascular wall, the daily optimum intake of these essential nutrients is the primary measure to prevent atherosclerosis and help repair artery wall damage. Scientific research and clinical studies have already documented the particular value of vitamin C, vitamin E, beta-carotene, lysine, proline and other ingredients in Dr. Rath’s Cellular Health recommendations for preventing cardiovascular disease and improving the health of patients with existing cardiovascular disease. Millions of people die every year from heart attacks because no effective treatment to halt or reverse coronary heart disease has been available. Therefore, we decided to test the efficacy of Dr. Rath’s Cellular Health recommendations for the number one health problem of our time: coronary atherosclerosis, the cause of heart attacks. If these Cellular Health recommendations were able to stop further progression of coronary atherosclerosis, the fight against heart attacks could be won and the goal of eradicating heart disease would become a reality. To measure the success of this program, we did not primarily look at risk factors circulating in the bloodstream. We focused directly on the key problem, the atherosclerotic deposits inside the walls of the coronary arteries. A fascinating new diagnostic technique had just become available that allowed us to measure the size of the coronary deposits non-invasively: Ultrafast Computed Tomography (Ultrafast CT). Ultrafast CT measures the area and density of calcium deposits without the use of needles or radioactive dye. The computer automatically calculates their size by determining the Coronary Artery Scan (CAS) score. The higher the CAS score, the more calcium has accumulated, which indicates more advanced coronary heart disease. Compared to angiography and treadmill tests, Ultrafast CT is the most precise diagnostic technique available today to detect coronary heart disease already in its early stages. This diagnostic test allows the detection of deposits in the coronary arteries long before a patient notices angina pectoris or other symptoms. Moreover, since it directly measures the deposits in the artery walls, Ultrafast CT is a much better indicator of a person’s cardiovascular risk than measurements of cholesterol or other risk factors in the bloodstream. Before following Dr. Rath’s Cellular Health recommendations, the patient had developed atherosclerotic deposits in the walls of his left coronary artery (white circled area in the left picture). The scans below are magnifications of the heart scan taken with Ultrafast CT.
We studied 55 patients with various degrees of coronary heart disease. Changes in the size of the coronary artery calcifications in each patient were measured over an average period of one year without vitamin supplementation, followed by one year with Dr. Rath’s Cellular Health recommendations. In this way, the heart scans of the same person could be compared before and after the vitamin program. This study design had the advantage of patients serving as their own controls. The results of this study were published in the Journal of Applied Nutrition. The full text of this landmark study is documented at the end of this book. The most important findings can be summarized as follows: This study measured, for the first time, how aggressive coronary heart disease progresses until eventually a heart attack occurs. Without the use of Cellular Health recommendations, the coronary calcifications increased at an exponential rate (very fast) with an average growth of 44% every year. Thus, without vitamin protection, coronary deposits increased approximately half their size every year. When patients followed the Cellular Health recommendations, this trend was reversed and the average growth rate of coronary calcifications actually slowed down. Most significantly, in patients with early stages of the disease, this essential nutrient program stopped further progression of coronary heart disease within one year. This study also gives us valuable information about the time it takes for the Cellular Health recommendations to show a repair effect on the artery wall. 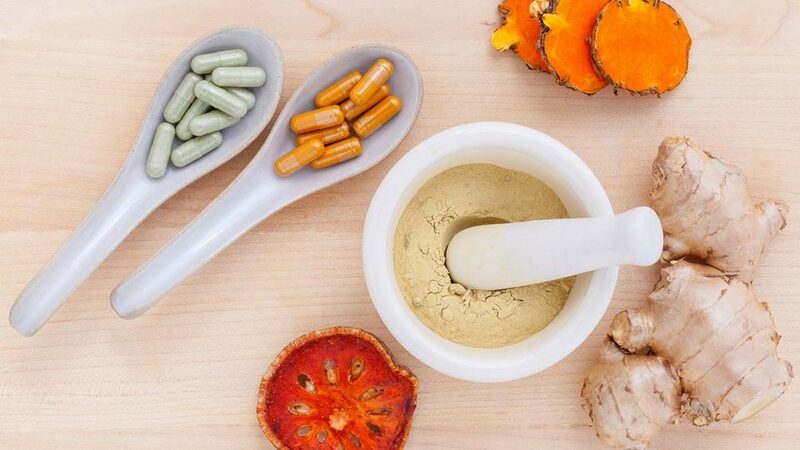 While for the first six months the deposits in these patients continued to grow, albeit at a decreased pace, the growth essentially stopped during the second six months with the vitamin program. Of course, any therapy that stops coronary heart disease in its early stages prevents heart attacks later on. It is not surprising that there is a delay of several months until the healing effect of these Cellular Health recommendations on the artery wall becomes noticeable. Atherosclerotic deposits develop over many years or decades, and it takes several months to control this aggressive disease and start the healing process. More advanced stages of coronary heart disease may take still longer before the vascular healing process is measurable. To determine this, we are continuing our study. Can already existing coronary deposits be reversed in a natural way? The answer is yes. In individual patients, we documented the natural reversal and complete disappearance of early coronary artery deposits approximately within one year. The ongoing study will tell us how long the natural reversal takes in patients with advanced coronary artery disease. The complete natural disappearance of atherosclerotic deposits with Dr. Rath’s Cellular Health recommendations confirms that this vitamin program contains the essential ingredients needed to start the natural healing process of the artery wall. In patients with early coronary heart disease, this healing of the artery wall can lead to the complete, natural disappearance of atherosclerotic deposits. In patients with advanced coronary artery disease, these Cellular Health recommendations can stabilize the artery walls, halt the further growth of coronary deposits, reverse them, at least in part, and contribute to the prevention of heart attacks.